But Arendt’s definition of what counted as “political” proved to be the theory’s undoing. Stripped of its original historic context, Arendt’s model of council democracy has since been derided as a utopian thought experiment. “Topics which allow certainty are the province of specialists, not the public at large”, she wrote. In part, her separation of politics from procedure grounded council debates. Politics had to end somewhere, otherwise everything could be political, and discussion would spin into infinite regress. She assumed that technical, scientific and economic matters were politically neutral. Political questions, distinct from the realm of management and procedure, were those that could not be answered with facts. Arendt’s delineation recalled the ancient idea of “techne”, a type of knowledge that signified technology and craft and was distinct from the free-thinking debates of the deliberative polis. “Truly political topics always allow the possibility of disagreement among rational actors… and always allow choice”, Arendt wrote. It was this distinction that cost her theory its reputation. At a 1972 roundtable discussion in Toronto, German philosopher Albrecht Wellmer asked Arendt to give an example of a social problem that was technical, but not political. “Take anything: like education, or health, or urban problems, even the simple problem of living standards”, he said. Arendt responded that each of these problems has a “double face” – and one of these faces “should not be subject to debate”. She then cited an example of a non-debatable question: “how many square feet every human being needs in order to be able to breathe and to live a decent life”. Her point was self-defeating: the word “decent” is inflected with subjectivity. Arendt desired a political system that involved citizens directly, but she narrowed her definition of politics so far that it became little more than gesture and speech. In her search for true political freedom, she ignored how the institutions of technology, science and economics circumscribe all political life. 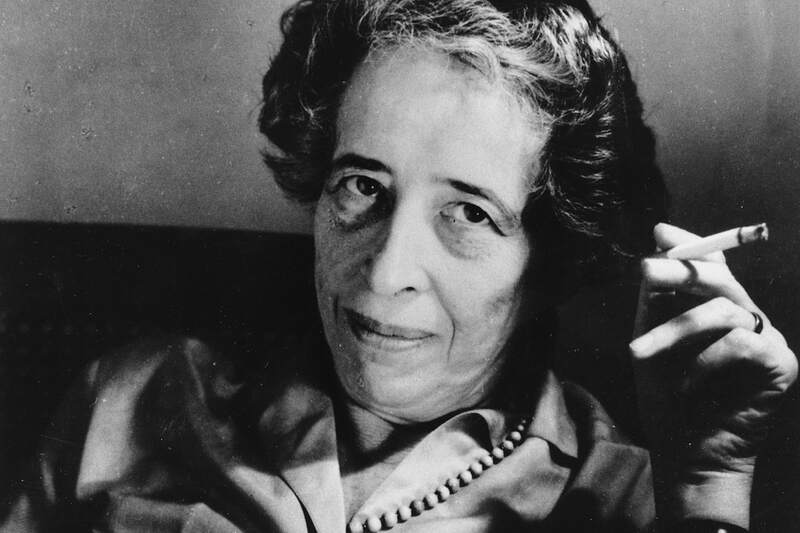 Yet although her theory was logically flawed, Arendt’s lucid criticisms of representation foretold today’s disenchantment with political institutions. The troubling distinction between the political and the technical speaks to the contemporary search for a politics beyond technocracy – one that registers human experience and emotion. Where does the political end, and the managerial begin? How far can the state be transformed to involve citizens in the practice of government, and what are the limits of political debate? Should citizens be given a say in all political questions, no matter how technical? These questions afflict contemporary politics, from municipal movements building town-hall democracy to John McDonnell’s attempts to transform the state and “gain power to empower”. Had she been alive today, Arendt may have looked instead to Barcelona’s government and Europe’s fearless cities movement for examples of council democracy in practice. Barcelona en Comú’s horizontal model of neighbourhood groups with elected coordinators mirrors Arendt’s vision of tiered councils. The platform resists the terminology of party, instead emphasizing its openness to people without prior political expertise. Tools like the open-source software Decidim offer digital fora for crowdsourcing manifestos, while Bcomú assets that democratic revolution is “impossible” without the active participation of citizens. These contemporary projects suggest alternate answers to Arendt’s central concern: that representative democracy was always unstable and insufficient. Since she wrote On Revolution in 1963, Arendt's theory of council democracy has been swept beneath the carpet. Scholars and journalists instead prefer to focus on the more internally consistent arc of her famous work on totalitarianism. Yet her argument for council democracy was prescient. Arendt’s enduring insight was not to proffer a perfect theory. Rather, it was to diagnose the problems that still afflict representative democracy today. Hettie O'Brien is a freelance writer and contributor to CityLab, the Guardian, Jacobin, New Socialist and the London Review of Books.